Binder Tabs - Index Tabs - Divider Tabs - FAQs - Tabs Etc. Tabs, Etc. 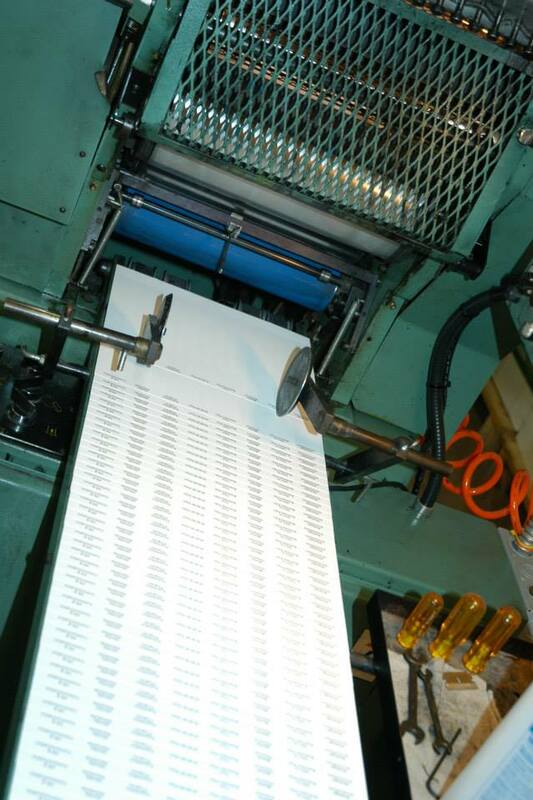 focuses on index tabs, divider tabs and binder tabs, specializing in small and medium run index tab manufacturing and finishing services for a wide variety of clients. Whether you’re a printing company, designer, government, medical or educational organization, or just a student or individual looking to finish your new project, our experienced staff is always ready to assist you with all of your indexing needs. What do you use for Color Matching? Who do you make tabs for? The time it will take to complete your index tabs – binder tabs – divider tabs job. This will be determined by the size of your job and the finishing required. We will always do whatever we can to meet YOUR deadline. No. We do not charge extra for a rush job. We will tell you at the time of order whether or not we can get the job done within the desired time-frame. An emailed copy of the art to be used in producing your tabs to show layout and typesetting, along with a specification sheet to verify all of your preferences for production. NOTE: Tabs, Etc. will not produce any job without a signed-off proof sheet. We use PMS ink or Pantome Matching System which is an international printing color language used to provide an accurate method for matching and controlling ink color. We are very flexible and there is no markup on shipping. We use UPS and FedEx, but you can use your courier if you can get a better rate than we can provide. Local pickup is also available. We make tabs for graphic designers, printing companies, and government, medical or educational organizations. Our experienced staff is always ready to assist you with all of your indexing needs. This glossary will help you understand and order tabs wisely. Our staff is always available to assist you and help you identify and select the best products for your business. Bank A single row of tabs running the full length of the sheet, normally along the 11″ edge. Binding edge The edge of the sheet that will be drilled or bound in your binder or book. Blank tabs A tab that has no printing, generally used to run through office copiers and printers. Body copy Any printing on the sheet other than the tab text. Body of sheet The size of the sheet WITHOUT the tab extension. Standard size is 8.5″ x 11″. Collating The process of assembling tabs into complete sets. Cut The cut is determined by the number of tabs in a bank. A 5-bank set of tabs would be described as 1/5th cut. Drilling The process of putting holes in the tab sheets. Extension The measurement of how far the tab extends from the body of the sheet. Standard is 1/2″, but we can also cut 3/8″ & 1/4″. Mylar A clear or colored plastic film applied to the tab extension. We currently have 24 different colors available. Overall Sheet Size The size of the entire sheet, INCLUDING the tab extension. Standard size is 9 x 11. Position The location of the tab in the bank. For example, the first tab in the bank would be in position 1; the center cut of a 5-bank set would be position 3. Reinforce binding edge A strip of clear mylar placed on the back side of the sheet to add strength to the holes and to help prevent tearing under heavy use. Set of tabs The total number of tabs per book or binder. A set can be one bank of tabs, or several banks of tabs in different sizes. Supplied pre-printed Tab sheet supplied to us pre-printed and we will convert into tabs. Tab The extended portion of the sheet. Tab copy The wording that will print on the tab extension. Type style Determines the location of the tab on the sheet and the direction of the tab text. Typeset Tabs, Etc. will set the type for your tab titles per your instructions.